A recurring question each tax season centers on financial gifts; what they are and how they are taxed. Gifting money, property, or valuables to your friends and loved ones can be complicated if your gift exceeds certain monetary limits. Once your gift has exceeded these limits, it becomes subject to gift tax. Understanding gift tax can be enormously beneficial to you and the receiver of your gift. 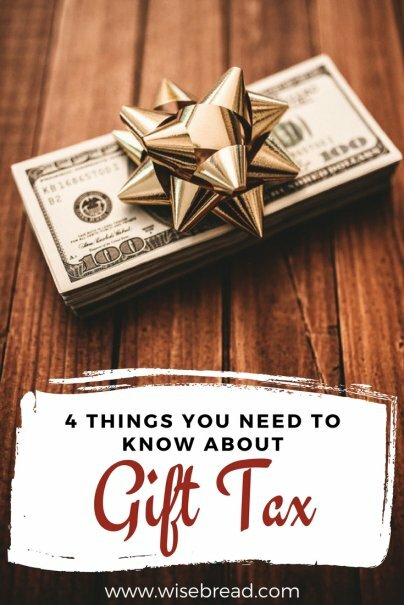 Whether you are trying to pass on money or expensive items to a family member or friend, understanding the gift tax can help you save over the long run. The gift tax is a tax on anything with a tangible value that is given to someone without receiving anything, or less than the item's full value, in return. The gift tax is paid by the donor in most situations. The point of such a tax is to prevent people from gifting away all of their assets before they die in an attempt to avoid estate taxes. For example, if a loved one gifts you their old car for less than its fair market value, it could be subject to the gift tax. For the purposes of gift tax, the IRS defines fair market value as "the price at which the property would change hands between a willing buyer and a willing seller, neither being under any compulsion to buy or to sell and both having reasonable knowledge of relevant facts." Only gifts that exceed a certain tangible value in a year are subject to the gift tax. For tax year 2017, that exclusion was $14,000. In 2018, the federal gift tax exclusion will rise to $15,000. For a couple, these exclusions are per person. So, a married couple in 2018 could gift an adult child $30,000 to buy a home without being subject to gift tax, so long as the gift is deemed to be split between the two parents. If your gift is more than the exclusion amount, you will need to complete IRS Form 709: U.S. Gift (and Generation-Skipping Transfer) Tax. You must complete this form every year you make a qualifying gift. To make matters confusing, you don't actually have to pay gift tax until you surpass the lifetime gift limit. (It's the same amount that's exempt from estate tax, by the way.) That limit was $5.49 million per person for tax year 2017, but was increased to $10 million, indexed to inflation, with the passage of the new tax law in December 2017. The IRS recently announced the recalculated lifetime limit for decedents who pass in 2018 has been set at $11.18 million. Any gifts that fall under the annual exclusion limits do not count against that lifetime limit. Regardless of whether or not you have to pay up, you still have to file Form 709 each year you gift more than the exclusion amount. If you have three children, and you give each of them $18,000 in 2018, you have surpassed the exclusion by $3,000 per child, or $9,000 total. That $9,000 will count against your lifetime tax-exempt gift limit of $11.18 million. What isn't subject to gift tax? College tuition. If you are willing and able to pay the tuition for your child, grandchildren, relatives, or friends, you do not have to pay the gift tax. Political contributions. Political contributions, as long as they remain within the legal limit, are tax exempt. Be sure that you still file the required tax documents to record any political contributions. Medical bills. Like tuition, payments made directly to a medical institution to cover the cost of care or medical bills for a loved one are exempt from the gift tax and do not need to be declared on your taxes. Gifts to your spouse. If you buy your spouse a gift, such as an expensive piece of jewelry, that gift is not taxable. Charitable donations. Any gifts you make to a qualifying charity, including cash or valuables, are not subject to the gift tax.